A great addition to the Connemara range. This 22-year-old has been drawn from some of the earliest barrels filled at the Cooley Distillery and has been matured exclusively in first fill bourbon barrels. It is the oldest whiskey in the core Connemara range, famous for its peaty signature, which has somewhat softened in the barrel over the years to produce a beautifully balanced malt. Indeed, at the moment it's the oldest age statement core whiskey produced at any of Ireland's distilleries. 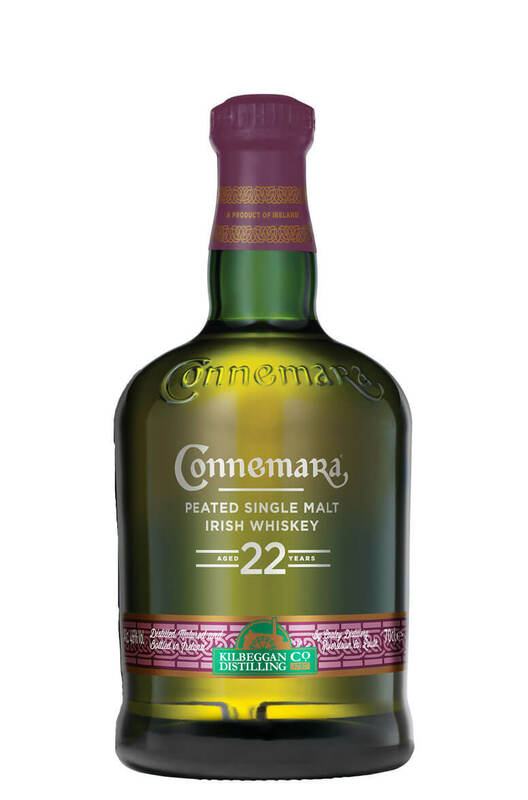 Connemara 22 is non-chilfiltered, has not been coloured and is very delicious. Conclusion Remarkable freshness and liveliness for a 22 year old whiskey. Lots of smoke but it never dominates. This strikes a nice balance between the typical smoke of Connemara and the fresh fruit flavours from the ex-Bourbon barrels. Nose Light peat smoke with some vibrant fruit characters: orange peel, pear drops and pineapple. Some nice woody touches that are in harmony with the smoke. Palate Full bodied and smooth. Surprising amounts of fresh fruit, vanilla and clotted cream. Then more spicy elements, smoke, leather, charred oak and ginger. Types of Barrel used for Aging Exclusively aged in 1st fill ex-Bourbon barrels. Any Additional Information of Note Non-chilfiltered and un-coloured. Drawn from the oldest stocks at the distillery. This is the full strength Connemara which is bottled at the natural strength at which it leaves the .. The 12-year-old edition of Connemara single malt has a full, rounded and complex flavour that is bot.. The Connemara Bog Oak is a limited edition that was drawn from just three casks that yielded around ..